Last month at the Tour of California, the name of the game for Sir Bradley Wiggins was Functional Threshold Power (FTP). 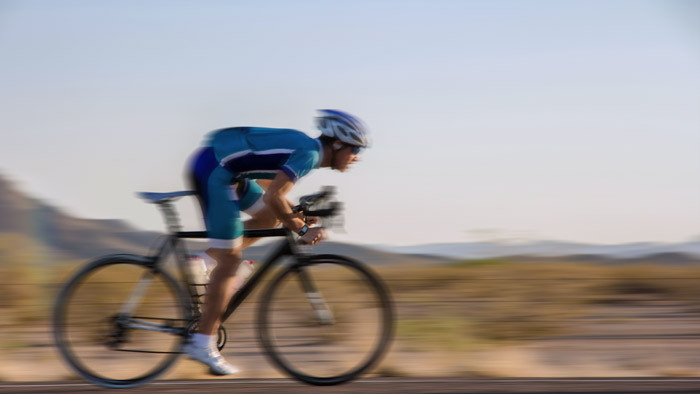 FTP is the maximum wattage an athlete can sustain for 60 minutes and according to Dr. Andrew Coggan, “the single greatest determinant of cycling performance”1. During the Tour of California there were three major stages where Wiggins was able to distance himself from his rivals for the overall victory. In those stages he leaned on his high power to weight ratio, or watts per kilogram (w/kg), of his FTP. Watching him tick out a strong steady pace on the summit finishes, Wiggins was riding at or around his FTP. Essentially, he knows that by riding at his FTP he can set a very hard pace, one he can sustain and will not blow up. Not many people in the world have an FTP power to weight ratio close to Wiggins, but the utility behind it is the same. Long climbs, solo breakaways, and time trials all rely very directly on an athlete’s FTP, but improving it can help an athlete in all aspects of riding and racing. It might not seem like FTP has much bearing on ability to sprint, but it very much does. FTP almost can be thought of as a sponge. The higher this number is, the bigger their sponge is, and the more efforts they can absorb. Every time a race goes hard, it will take less out of the athlete with the higher FTP, and in return they will have more energy left in the tank for a big selection or for the sprint at the end. Training FTP is important for all cyclists. First, warm up for 20 to 30 minutes starting with easy pedaling and progressively building to more zone 2 endurance pressure on the pedals. Then, on a stretch of road with no interruptions (most often this is a sustained climb) go for 20 minutes at your maximum pace. From this 20 minute test take 7.5 percent off of the average power and use that as your FTP. Start with 3×10 minute efforts at 100-110 percent of FTP with 5 minutes of easy spinning between efforts. A lot of riders fall into the trap of only doing threshold work on a climb. Climbing threshold work is great, but it is easy to get to a point where you can only put out your best FTP numbers on a steep gradient and are floundering on the flats. To prevent this, all the same climbing FTP workouts can and should be done on flats at 95+ rpm as well. If the terrain allows it, when doing FTP sets, I recommend doing one of the three efforts on a flat road and two on a climb. The flat land FTP work is also a good place to get in time on the time trial bike. Now that you know how to best improve your FTP, review your power files for the improvements. You can look at peak 20 minute average power from hard rides and races, as well as peak 60 minute Normalized Power®. You may see yourself breaking these records on climbs, group rides, time trials, breakaways, or the end of a race. Also, a few months after your initial field test, do another identical field test to track the improvement and reset your FTP.